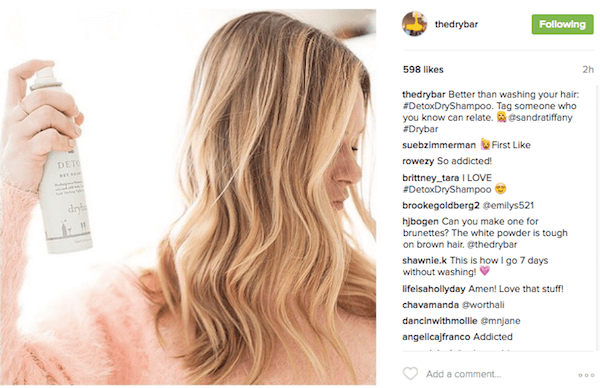 Do you use Instagram to showcase your business? Have you heard about the new algorithm and other changes? Sue B. Zimmerman joins us to explore the latest Instagram updates. In this episode I interview Sue B. Zimmerman, the Instagram Gal. She’s the author of the ebook, Instagram Basics for Your Business, and has taught Instagram marketing for small businesses on CreativeLive. Sue helps businesses leverage the power of Instagram. Sue explores the latest Instagram features, and you’ll discover how marketers should respond to the Instagram algorithm changes. 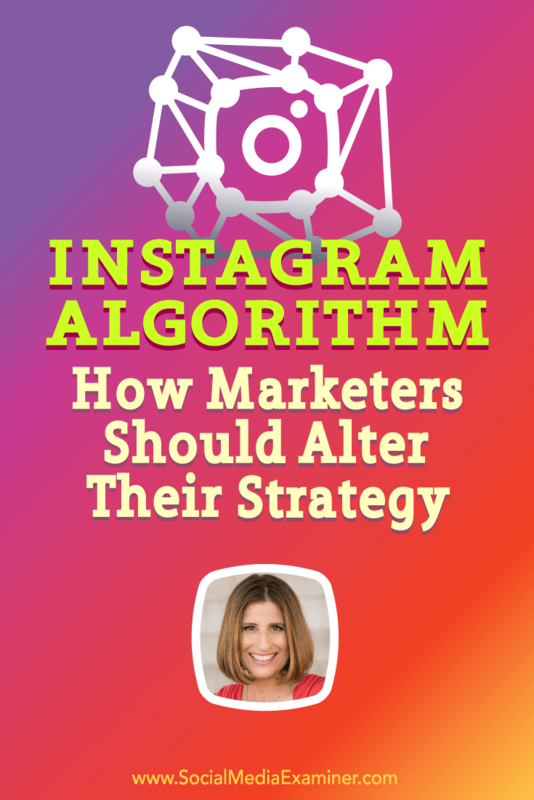 Listen as Sue B. Zimmerman shares what marketers need to know about the Instagram algorithm, and how to adjust your strategy. Sue is an artist at heart and says she’s wired for visuals. She discovered the power of Instagram at her Cape Cod retail store, which she ran for six years. After she started using Instagram, her sales increased significantly, and she realized she needed to teach other business owners how to have that kind of success. Last summer, she closed the store to focus on growing her online business. Pay attention to your teenagers, Sue adds, because they’re setting the next mobile trend. There are currently more than 400 million active Instagram users. Instagram is growing very quickly. At the time of this recording, it has 400 million users and Sue believes they’ll soon announce they’re at 500 million active users. They project it to be one billion in three years. Listen to the show to learn more about Sue’s retail store on Cape Cod. Sue explains several new Instagram features. First, you can now send direct messages from an Instagram comment via mobile. When you open up Instagram and see a post you want to send privately to your team, just click on the arrow to the left of the comment and send it as a direct message. All you have to do is @mention the person you want to see it. Direct messaging is one of the most underutilized features of Instagram, Sue believes. A lot of people don’t use direct messaging for their business. For example, when you see something that reminds you of a client or someone you want to collaborate with, you can easily send it to them as an idea without having to publicly post on that feed. Click the arrow to the left of the comment box to send Instagram posts via direct message. In addition, the desktop has had a lot of great updates. Looking at the desktop version of Instagram, you’ll see three icons on the right-hand side. Click on the explore button that looks like a compass, and Instagram suggests people for you to discover, based on your activity. In the middle, click on the heart icon to see notifications. The icon on the far right goes to your profile. Plus you can now comment from the desktop, which is something people have wanted to do for a very long time. The Instagram desktop version now has much more functionality. On the far left, clicking on “Instagram” takes you to the home feed, so you can easily scroll through it on your desktop. Sue says she doesn’t use the desktop much, unless she’s using Iconosquare. Additionally, she notes that you can’t upload photos from your desktop unless you use an app like Later. Sue also shares a couple of things people need to know about video. First, video on Instagram is now up to 60 seconds, which is great for people who really want to give demonstrations, do behind-the-scenes content, or announce their podcasts with video teasers. She points out that Instagram engagement is shown as views, not likes, and shares that she gets a lot more views on videos than she gets likes on photos. A view is counted after a video is watched for 3 seconds or longer. It’s not autoplay, so users need to click on the video for it to start. When I asked Sue if she sees users on Instagram doing things similar to what they do on Snapchat, she said Brian Fanzo is doing just that. 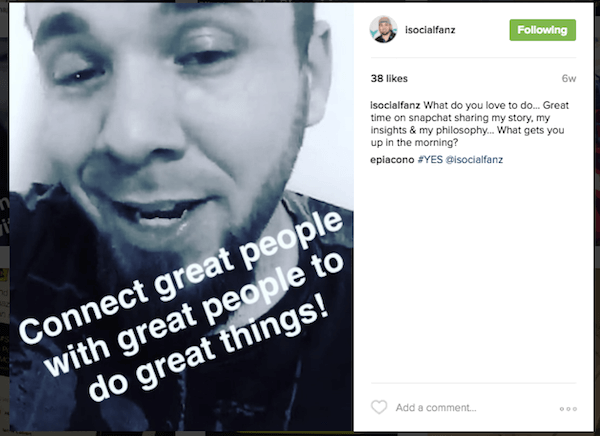 People like Brian Fanzo are taking more of a Snapchat approach to Instagram videos. There are three ways to do a video. First, record it right inside the Instagram app. You can stop and go, so you can change your positioning. Another option is to record it from your phone and upload it as a video. Otherwise, use a third-party app like PicPlayPost (iTunes or GooglePlay), Videohance, or another editing tool to do text overlay and effects before you upload it. Sue adds there are more than 200,000 advertisers on Instagram, which offers an ad overlay to put on the ad. If you tap on the ad image, you can see it. Listen to the show to hear what happened to the timestamp on Instagram. Once the Instagram algorithm goes live, you’ll still see everything, but the order of the photos and videos in your feed will be based on your actions. Your feed will present posts according to the likelihood you’ll be interested in it, on your relationship with the person posting it, and the timeliness of the post. It’s a better user experience, Sue explains, and the goal is to keep people on Instagram longer. To make sure she sees the content she wants, Sue pared down people she follows on both @SueBZimmerman and @TheInstagramExpert. She was following more than 2,000 accounts on her personal profile. These were people she coached, those who purchased her course, and even individuals she met at a conference who took a picture and tagged her. Sue did a major purge of follows to increase the value of her feed. Sue realized if she wasn’t inspired, educated, or entertained in some way by scrolling through her home feed, it wasn’t worth it. So she did a major manual purge. Sue still engages by commenting on other people’s posts; however, now she only sees the content she wants to see in her news feed. It’s one thing to follow for follow, but Sue challenges people to only follow accounts they feel bring them visual value. Listen to the show to discover the other reason Sue purged both accounts. Sue suggests users turn on notifications only for accounts where they absolutely need to be notified. Choose five to eight accounts that give you so much value that you don’t want to miss out. If you want to ask users to turn on post notifications for your account, do it in a way that’s organic. For example, Sunny Lenarduzzi did a great ask for her post notification, which was in the spirit of her feed. 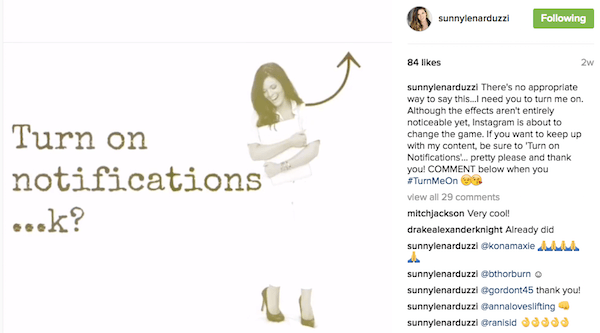 Sunny Lenarduzzi asked people to subscribe to her posts in an organic way. Sue turns post notifications on for accounts like The Dry Bar and Camping with Dogs, because of the value they provide. When Sue likes something, she doesn’t just double tap. She leaves a comment to let them know why she likes it. If she’s the first like on a post, Sue uses the emoji girl hand up and comments, “First Like.” People laugh and smile when you do that, she says, but you also get the attention of the brand, business, or individual. Plus, when you ask them for something (for instance, Sue wanted to interview the owners of The Dry Bar and Camping with Dogs on Blab), they say yes because that was not your first touch point. Develop relationships with other businesses on Instagram before reaching out to ask for something. On Instagram, you need to post with purpose. Each post should not only stand alone, but also be part of the whole feed experience. Scrolling your feed should feel like a magazine with every post in alignment with the vibe of your account. To create outstanding posts, always have great lighting, Sue says. Lighting is everything, and natural light is preferable. It’s better to post nothing than to share a grainy, dark photo on Instagram. Manny Photos, a photographer who uses fabulous lighting, was featured by Instagram. Also, use interesting angles with your images and videos. Take high-to-low or low-to-high shots, rather than photos straight on. Include a little bit of energy. For instance, have the mouth open or use props. Incorporate emotion, so others feel like they’re experiencing what you’re posting. 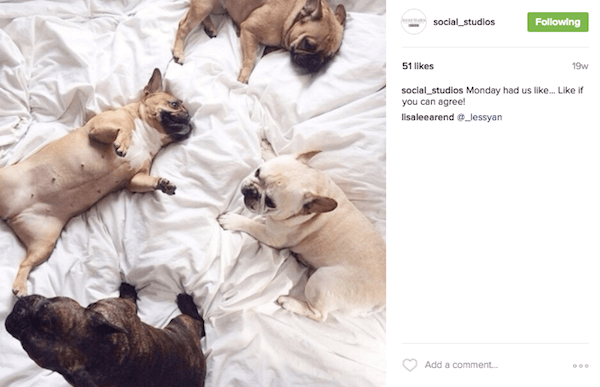 Jessica from Social_Studios does a great job of pulling people into her Instagram posts. Take photos with good lighting and use interesting angles. Should we post less? Not necessarily. Sue doesn’t think changing posting habits should be top of mind. If you’re posting with value and people want to see your content, they’ll engage. The most Sue ever posts is three times a day. She typically posts one on the Instagram Expert account and one to two times on her personal account. People who are following you for your content are there to receive it. Be more cognizant of how you present or theme your Instagram account. She likes the word “theme,” because those are the accounts that get the most engagement, followers, and interaction. Sue shares three examples of accounts that encourage engagement. Jeff Mindell, who has over 55,000 followers, is a lifestyle photographer in California. He shares huge inspiration, he’s also on Snapchat, and is super-creative. The two other accounts belong to teenagers. She notes teenagers are crushing it and making money on Instagram because they understand the power of theming. 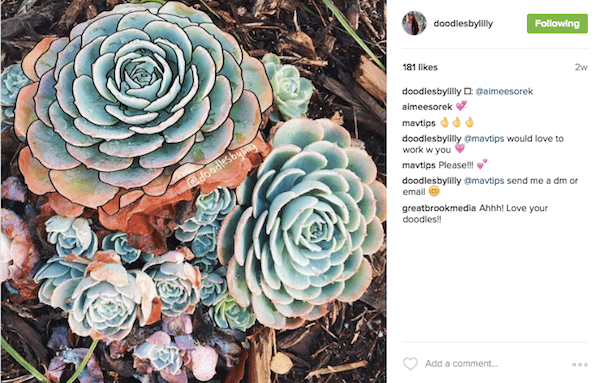 Creativity on Instagram inspires engagement. One is @doodlesbylilly, who adds art to photos. She has a very creative Instagram feed, and she’s a junior in high school. The other is Sue’s daughter, @freshfitandfearless, who is a vegan and foodie. She is an Instagram success story, because every post is in line with that messaging. Both of these accounts get a ton of engagement, because the content is themed and people know what to expect every time they land there. Listen to the show to hear how we announce post notifications for Facebook and ideas on how to adapt that for Instagram. 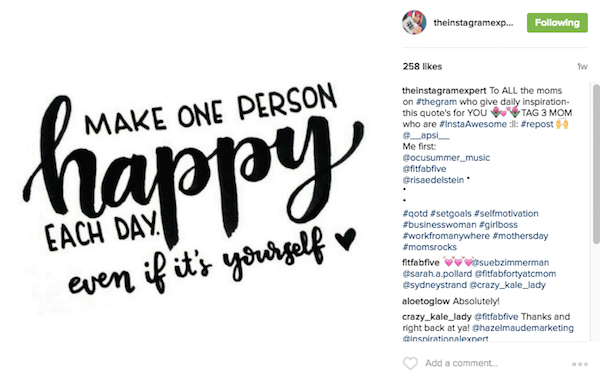 If you’re smiling, laughing, learning, or being inspired by anyone on Instagram, leave an emoji or a comment. The more you do that on other people’s posts, the more they’ll come back to you. There’s a whole law of reciprocity on Instagram. Every time Sue gets a thoughtful comment, it makes her want to see who wrote it. When you ask for people to tag others, it helps grow your account. Just don’t ask users to tag more than three people. That’s too big of an ask. Ask people to tag three others to encourage engagement. If you don’t get comments but you get likes, there’s a Ninja trick Sue shares. Click on the likes to see all of the people who liked your post. There’s a reason they liked it, but they didn’t take the time to engage. Every time Sue calls somebody out in a playful way, they always come back and leave a comment. And that’s what you want: comments. Listen to the show to hear a Social Media Examiner–related example of tagging people in a comment. LibreStock searches 43 free stock photo websites at the same time. Head over to LibreStock.com. Type in what you’re searching for and it collects everything into one place. Then just start scrolling through. Once you find an image you like, it says “Download at…”, and gives you the name of the site where that photo resides. 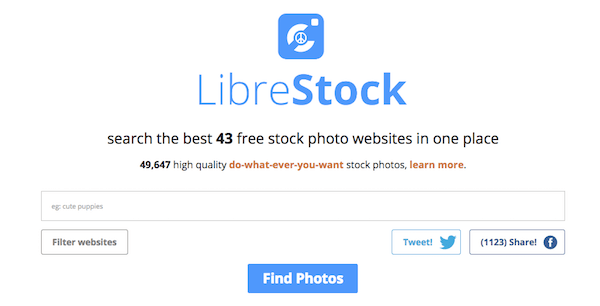 LibreStock allows you to search all free stock photo sites at once. Rather than spend your time searching your two or three favorite libraries individually, type in the search once. LibreStock streamlines the process. It’s keyword-based, simple, and straightforward. Also, when you hover over the images in the search results, it gives you metadata in the form of hashtags. Search further by clicking on the hashtags. Listen to the show to learn more and let us know how LibreStock works for you. Today (Friday, May 27) is your last chance this year to join thousands of fellow marketers in the Social Media Marketing Society, the exclusive membership community from Social Media Examiner. We’re closing the doors at 11:59 pm (Pacific) tonight and the opportunity to become a member of the Society will be gone until 2017. The Society helps you discover new ideas, avoid trial and error, implement the newest social tactics, and find what works best with social media marketing. Uncover the latest social media marketing tactics that deliver real results for your business on Facebook, LinkedIn, Twitter, Instagram, Pinterest, Snapchat, Periscope, YouTube, Blab, and visual marketing. Find new ways to improve your content and measure your results – all from the comfort of your home or office. Plus, you can connect with other marketers in our online forums and live Society Hangouts. There’s always someone there to help you through the challenges you’re facing and to celebrate your successes. There are only a few hours left! Your opportunity to join the Social Media Marketing Society ends tonight. Enrollment will not open again until 2017, so register today! Click here to discover more about the Society and join before the doors slam shut. Learn more about Sue on her website. 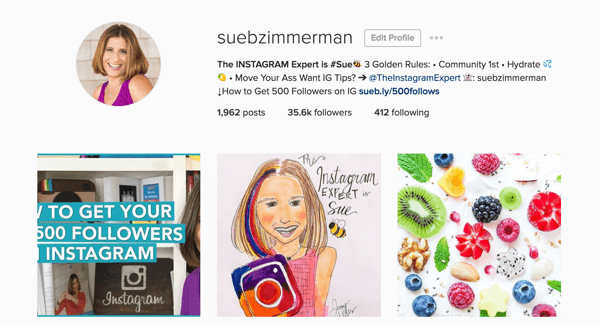 Follow @SueBZimmerman and @TheInstagramExpert on Instagram, as well as on Periscope and Snapchat. 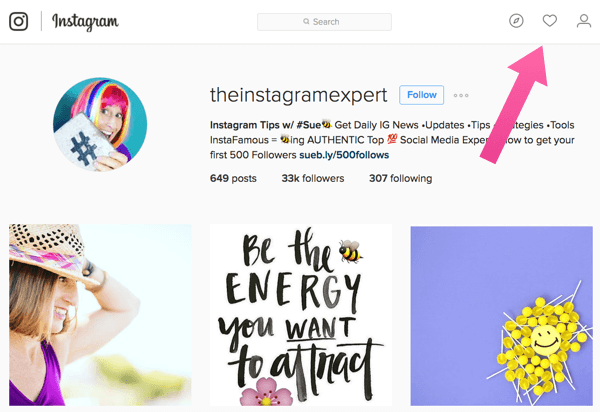 Grab Sue’s free Instagram strategy guide. Post on Instagram using #SueBMadeMeDoIt and tag @smexaminer and @theinstagramexpert. Read Instagram Basics for Your Business. Check out the latest Instagram stats. Learn more about Instagram video length and how videos are shown as views. Follow Brian Fanzo on Instagram. Check out PicPlayPost on iTunes or GooglePlay, as well as Videohance. 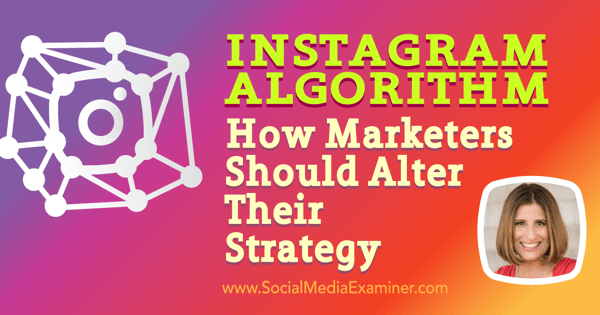 Learn more about the Instagram algorithm. Watch Sunny Lenarduzzi’s post notification ask. Follow The Dry Bar, Camping with Dogs, Manny Photos, Social_Studios, Jeff Mindell, Doodlesbylilly, and freshfitandfearless on Instagram. Follow me, subscribe, and listen to the Social Media Examiner weekly blabs. 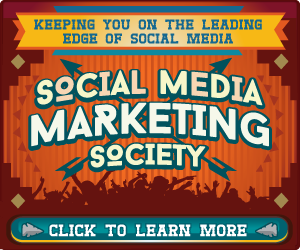 Learn more about the Social Media Marketing Society. Read the 2016 Social Media Marketing Industry Report. What do you think? What are your thoughts on the new Instagram algorithm? Please leave your comments below. 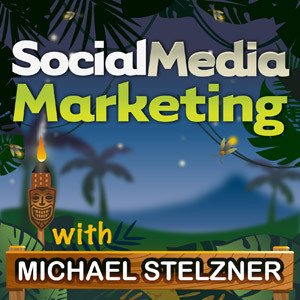 Sue B. Zimmerman talks with Michael Stelzner about the Instagram algorithm and how marketers can respond.